Save EPI as DXF in batch without any problems! You are here: CoolUtils > Total PDF to DXF Converter > Save EPI as DXF in batch without any problems! To adapt EPI files for the use in CAD programs, you will need to make export to DXF format. These formats are rarely met in the support list of common applications, but it is no longer a problem since you have Total PDF to DXF Converter. This program allows to convert EPI to DXF in batch in one action. It can work with as many files, as you have. The only rule for the source files - they should be located in one folder. You can select the entire folder as a source for such conversion. The program can convert files only from main catalogue or convert all files including subfolders. 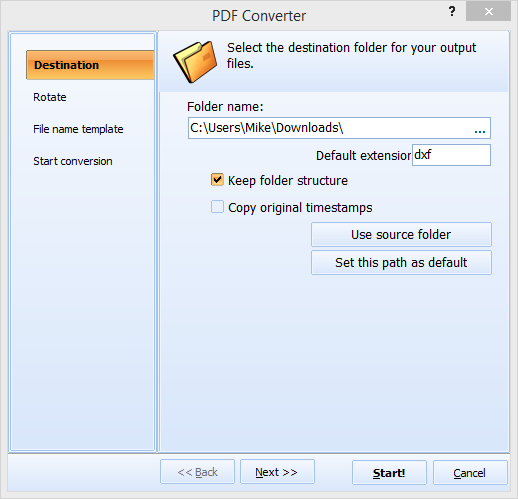 Total PDF to DXF Converter features a handy interface that gives access to all available functions intuitively. For instance, the settings list appear automatically after you select the target format. If you've made some wrong action, it will output a proper hint how to fix that. This seriously helps newbies to get familiar with this data export. There is also a file viewer inside the program. You can use it for reading files of any supported format (EPI, PS, EPS, PXL and others). 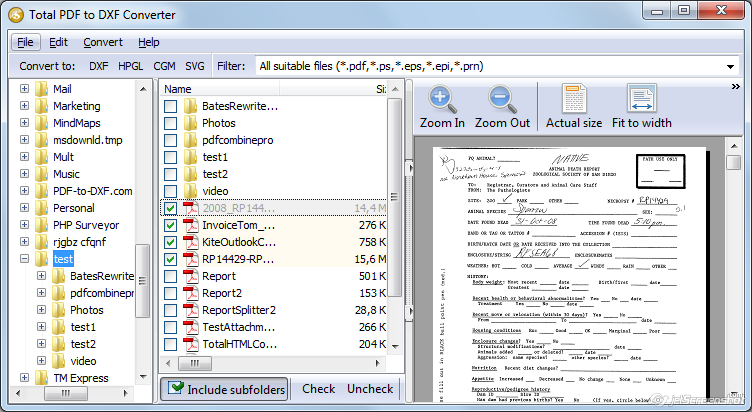 The file viewer has zoom and other scaling tools for comfortable view. Before you export EPI to DXF, it's useful to view the content of selected files, to make sure these are correct sources. Each section of the program's interface is resizable, so you can adapt it for your screen size. You can test this comfortable converter for free during 30 days! Get it here!